To create an attractive ski resort, you need to offer your guests well-equipped slopes and developed infrastructure. You should consider a bunch of things, starting with how many lifts you’ll run and where your equipment rentals will be located. You’ll also have to find a way to help guests orient themselves at your resort. You can always show your guests around the old-fashioned way with the help of maps and markings. But what if you could guide your guests with an app that is always at hand and then use that app to attract more guests? This is exactly what a lot of ski resorts are doing right now. To build not just a good but a leading ski resort, you should integrate digital experiences with your offline sports activities to provide a better customer experience. 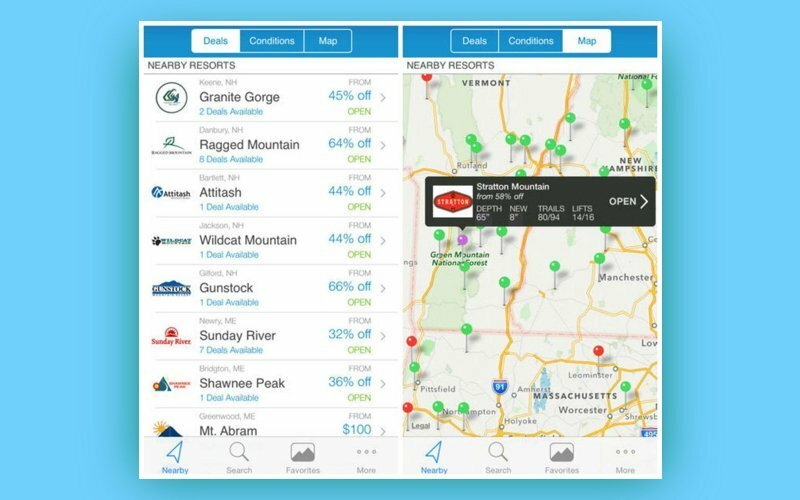 Why should ski resort companies invest in mobile technologies? Over the last two seasons, more than 80 percent of skiers and snowboarders were active on social networks while on the slopes. They posted pictures on Facebook, told about their experiences on Twitter, and shared videos on YouTube. To attract more guests and make them return, it’s important for ski resorts to pay attention to the social aspects of skiing and use them to better serve customers. A huge number of people can’t imagine doing sports without their devices and mobile apps. They use wearables to track distances and number of reps and view this data in mobile apps that display easy to understand charts and graphs. If you are able to track the number of miles you run in the morning, why shouldn’t you be able to record the height of the hill you’re skiing on? If you can share your fitness results from the gym with an instructor, then why shouldn’t you be able to share your ski results with a coach? There are several types of apps that are used to improve the quality of customer service at ski resorts. Edge Ski, for example, provides slope maps and weather information. Moreover, the app provides access to this information even without an internet connection. Other than showing maps and weather, the application tracks all sorts of user metrics. Edge Ski is available for 119 ski resorts around the world. 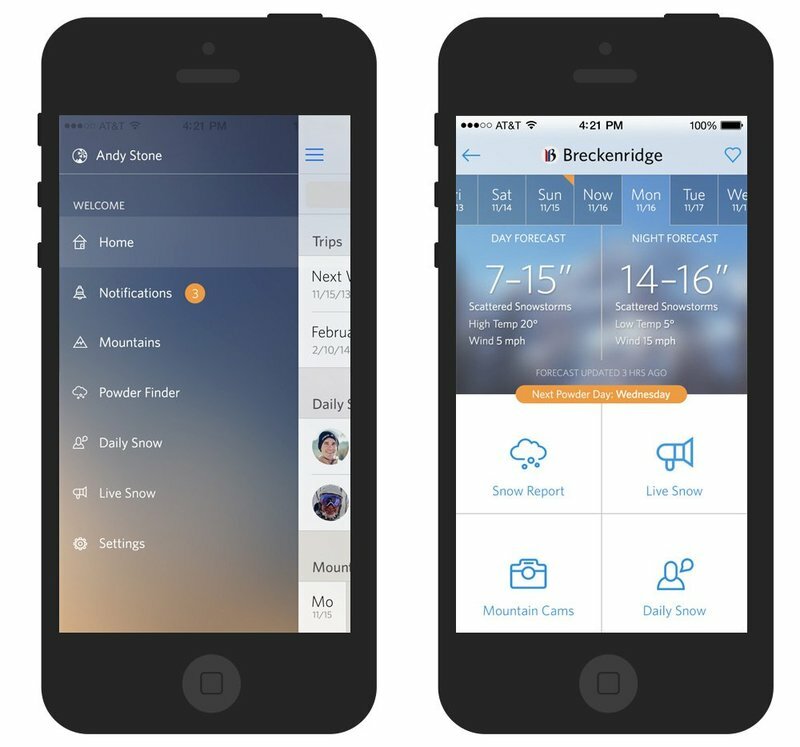 The SkiLynx app is similar to Edge Ski, but in addition to tracking metrics, this application offers messaging with friends to schedule outings or discuss plans. You can use the Google Maps API or Apple’s Maps API to integrate maps into your own iOS or Android skier app. Using apps for skiers like Ski Webcams, you can monitor webcams installed on the slopes in order to find out if a slope is too crowded or just to see what the weather is like. Webcams can help you plan your routes. Apps like On The Snow and OpenSnow show skiers real-time weather conditions on the slopes and help them plan their routes accordingly. The Ski Tracks and Slopes apps allow skiers and snowboarders to track their metrics for on-hill activities. Slopes, for example, tracks your max speed, vertical, distance, lift vs trail time and more. Most of the apps of this type use GPS for tracking. An app connects with GPS to determine the start and end points for your run and then calculates metrics with relevant algorithms. Apps like Liftopia give access to thousands of deals on tickets, ski passes, and equipment of all kinds. With apps like Rambler and Yonder, skiers can share their activities and tell the world about their on-hill experiences. These apps record your journey data and convert it into a personal trip journal that can be shared with others. There are other ways to use GPS technology than tracking your average speed. The Avanet app uses GPS to warn skiers about hazards based on user-provided data: a user can mark a location as “dangerous” on Avanet’s map and then that markers will be shown to other users. The Mammut Safety app offers avalanche bulletins sends SOS signals, checks risk levels, and offers a lot of other safety features. With Cairn, you can check if there’s cell coverage on the slopes you’re planning to ski on. If there’s no coverage, you can share your routes with your friends or family beforehand so they know where you’ll be. There are also some apps such as The Resort and EpicMix that combine all the features mentioned above. EpicMix belongs to the Vail Resorts Management Company – one of the leading mountain resorts companies in the US. 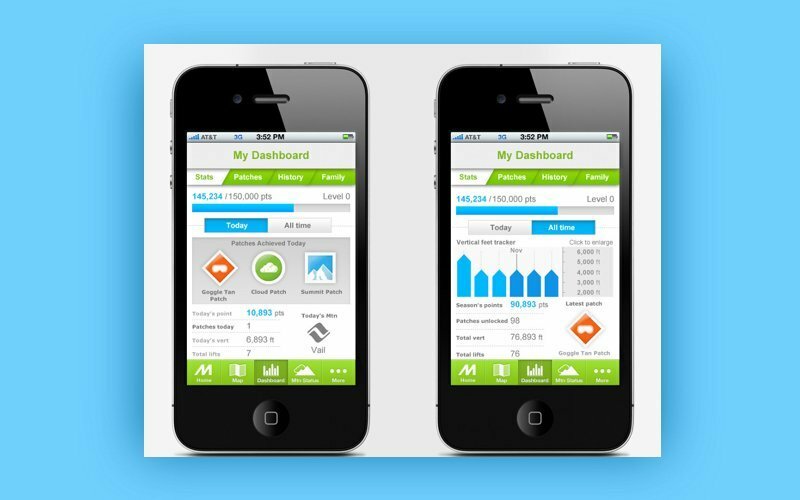 The app was created “for market knowledge creation” and to improve the customer experience at Vail Resorts. Almost half of all Vail Resorts guests use EpicMix in their everyday skiing experience. Let’s take EpicMix as an example to figure out how the ski industry can provide even more innovative mobile experiences. An RFID chip stores a unique number and user information. When the chip is in the range of an RFID reader, this information is sent to the reader by radio waves. RFID chips are widely used in retail, but in fact the spheres in which they can be used are almost unlimited. EpicMix uses them as follows: its tracking system consists of RFID chips embedded into a user’s ski pass, and RFID pods placed on the top of wooden poles. RFID pod contains a Sirit RFID reader and an antenna. The Sirit RFID reader reads information from the chip with the help of the antenna and then sends this information to the database through wireless access points. The whole system allows skiers to track a wide variety of metrics such as total vertical feet, time on the mountain, where they’ve skied, and more. EpicMix hired ODIN – a global leader in RFID software, services, and solutions – to build its system. EpicMix uses two of ODIN’s solutions. The first, EasyEdge, is an operating system that acts like middleware between RFID readers and the backend system and performs data filtering. The second solution is an Easy Monitor system that allows EpicMix to remotely monitor, diagnose, and update all RFID firmware from one location. With Easy Monitor, you can check if all devices work properly and if any need to be fixed or updated. EpicMix Pins. Users can earn pins for their achievements. For example, there’s a Monogamist Pin that you can earn by taking ten rides on the same lift. The pins feature improves the on-hill experience by adding gamification to your activities. EpicMix Guide. 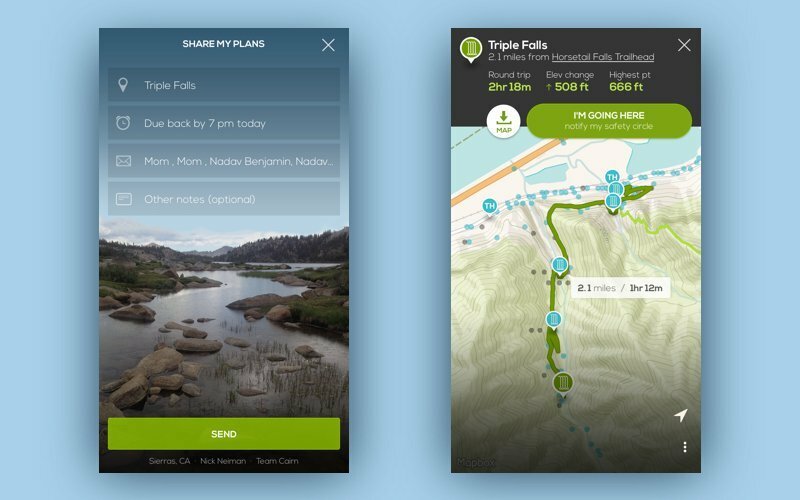 EpicMix allows users to tell others about places they’ve visited and slopes they’ve liked most to create a customized, step-by-step navigational guide. EpicMix Stats. The stats function gives you access to all of your data gathered by the RFID chip embedded in your ski pass or day ticket. EpicMix Photo. 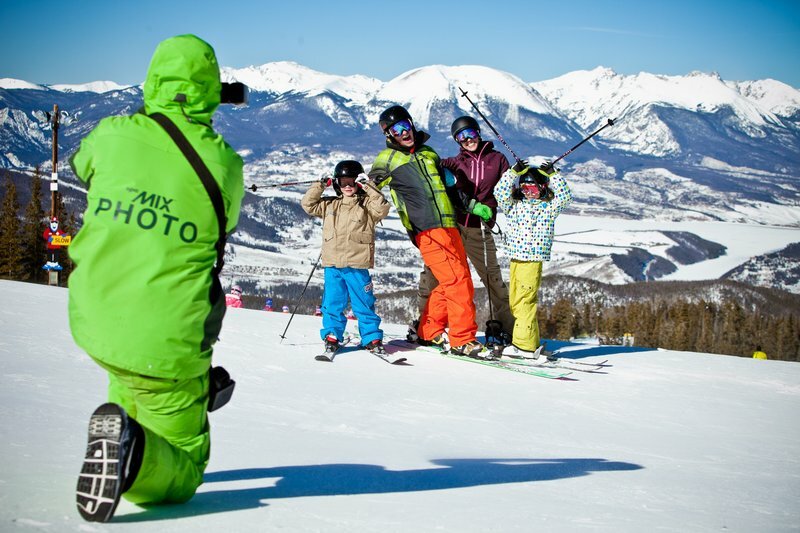 Vail Resorts employs professional photographers on its slopes. Photographers take photos of users and link them to their EpicMix accounts. These photos can be shared on social media or downloaded for printing. Having professional shots changes the way you can tell your skiing stories, sharing not only selfies but also bright professional photos of your perfect vacation. EpicMix Time. Time is a new feature launched last season that allows you to track your time on the lifts and better plan your route. With GPS, you can see where you are, which lifts are open nearby and how long it takes to ride on each one, making it easier to plan your day and spend more time skiing. EpicMix Maps. With maps, you can check which slopes are open and how far away they are or see if there are any restaurants nearby. EpicMix Challenges. There are a bunch of challenges available in the app, such as the King of the Mountain challenge that can be earned by skiing 250,000 vertical feet in a season. There are also beginner challenges like the 5 Buck challenge earned by five lifts a day at a single resort. You can compete with all EpicMix users. EpicMix’s maps and forecasts are convenient and attract a lot of users. But if you want to attract a serious number of users, then you need to offer additional features. One of the most powerful ways to engage users is gamification. During EpicMix’s very first season, more than 15 percent of Vail Resorts’ guests registered in the app. During the second season, twice as many people became active users of EpicMix. 1. Gamification increases brand loyalty and motivates users to come back to your app over and over again. 2. Gamification increases income. According to Gigya, businesses that use gamification increase their profits by 46 percent on the average. 3. Gamification provides more information about your users. Gamification features provide data about users’ preferences: where they spend their time, how long they are on the slopes, etc. This data allows you to build your marketing strategy more effectively, attracting more new customers and keeping your loyal ones. According to recent research by J. Walter Thompson Intelligence, 51 percent of skiers say that they would share information about their behavior during vacation more willingly if there were more gamification activities included in the on-hill experience. 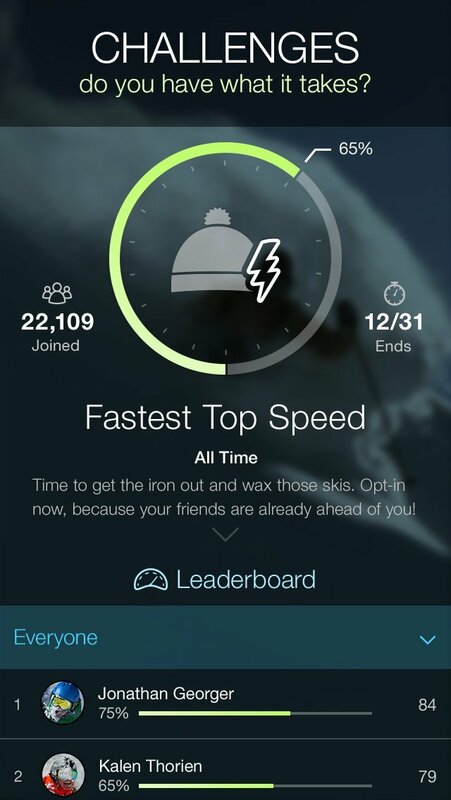 Recently, we have seen more and more ski resort apps using gamification. Besides EpicMix and The Resort, features similar to challenges have appeared in apps including Snorcu and Ski Tracks. 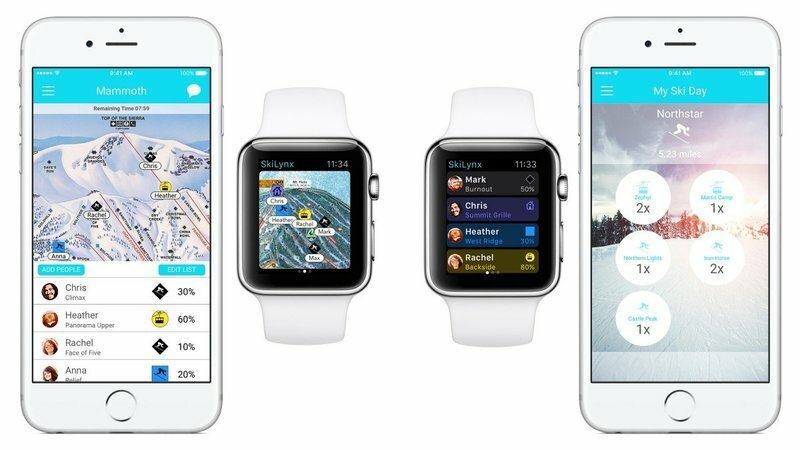 How can you make money from an app for ski resorts? By creating an app for your own ski resort, you create an effective marketing tool that will attract customers. Secondly, the application itself can bring in money. At the moment, there are two main monetization models for a ski resort app. With a paid app, users can’t benefit from it until they buy it. This is the monetization strategy that was chosen by SkiLynx ($2.99) and Ski Tracks ($0.99). However, we don’t think this is the best choice of monetization strategy for a skiing app, since the primary goal of such an app is to improve the customer experience. Charging for access to an app reduces the probability that a user will ever benefit from it. With a freemium model, a user downloads an application for free and uses the basic set of features. To expand the functionality, however, they need to buy a paid version. OpenSnow chose this strategy. Its basic functionality – weather forecasts – is available for free. But with the paid version, users get access to longer-range forecasts and custom alerts about changing weather on their favorite slopes so as not to miss a snowy day. EpicMix charges users for downloading photos taken by professional photographers. That means that you can share your photo to social media for free but have to pay to download a file for printing. Perhaps old-school skiers still think that the most important part of skiing is the offline experience, and that mobile technology isn’t that important on the slopes. But in fact, mobile technologies have already conquered mountain peaks and become full players in the skiing industry. And ski resorts can benefit from the fact that skiers are pulling out their phones. Perhaps most importantly for ski resorts, apps can be powerful marketing tools, the effectiveness of which can’t be overestimated.